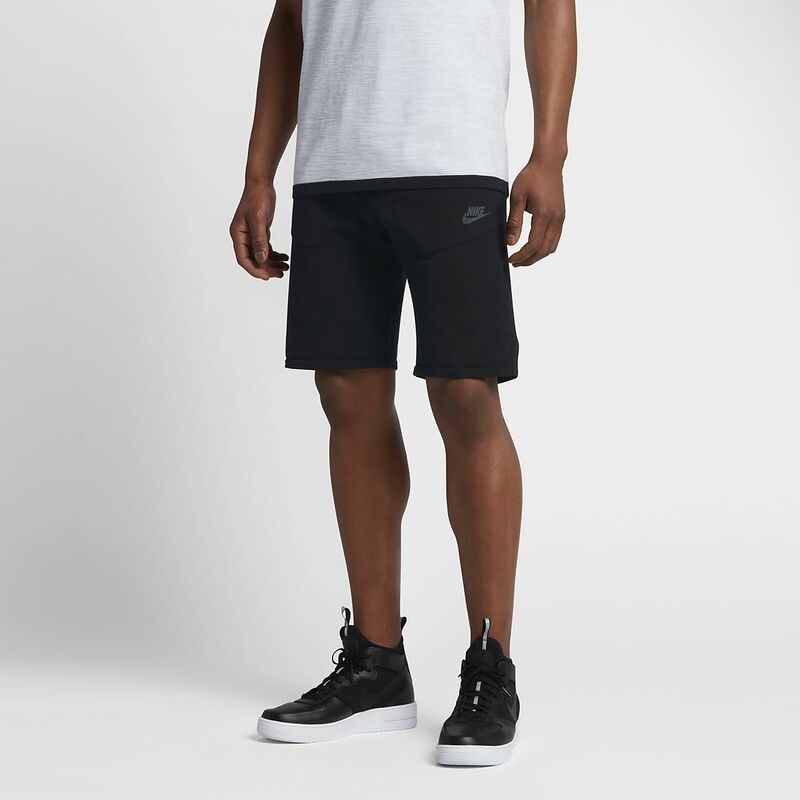 The Nike Sportswear Tech Knit Men's Shorts feature lightweight knit fabric for total comfort. The Nike Sportswear Tech Knit Men&apos;s Shorts feature lightweight knit fabric for total comfort. Fabric: Body: 54% cotton/46% nylon. Waistband: 50% nylon/48% cotton/2% elastane. Upper back panel: 54% cotton/46% nylon. Side panels: 63% viscose/37% nylon. Have your say. Be the first to review the Nike Sportswear Tech Knit.